We are currently updating our talent pool of tempoary/Part time chefs at all levels to contribute to the culinary creation within our Events and wider restaurant teams. Peyton & Byrne & Peyton Events is a modern British contract caterer headed up by Oliver Peyton, with restaurants and cafes located in some of London’s premier Galleries and attractions. Due to internal development we are now seeking to recruit a new wave of creative chefs to help shape the Peyton culinary vision. We are currently seeking chefs at all levels to join the team on a casual or part/time basis, the roles will be primarily based within our events team however, there will be a need for supporting the wider Peyton and Byrne team at our restaurants within some of London's most iconic venues. . The ideal candidate will have a strong passion for cooking and enjoy being truly operational and help deliver the Events head chef vision by creating fresh modern Cuisine using only the finest available seasonal ingredients and preparing all meals fresh on site. 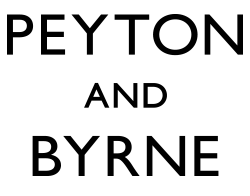 Although we are primarily seeking to hire on a Casual or part time basis, there will be opportunity to develop into permanent roles either with Peyton Events or Peyton and Byrne.